'President Barack Obama on Thursday tied his proposal to raise taxes on wealthy Americans to his faith, telling leaders gathered for the National Prayer Breakfast that Jesus’s teachings have shaped that conclusion. Gods governing authority and the one Paul is speaking about in Romans has nothing to do with politics or any governing body other than the church. Obama really confuses this issue ans speaks candidly as to his understanding of his own Christian faith. Paul is directly speaking to the leaders of the church not the government as the ruling body. Giving unto Caesar what is Caesars' is speaking to the two God theory and that it is impossible to follow both money and God....earthly and non earthly. 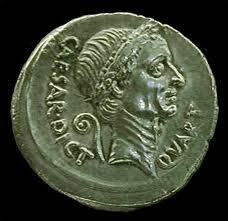 Give him what is his (Caesars' own image was on the coin)meaning this is not a possession to worry about. All the other passages refer directly to what I stated above. Paul was simply reviled by Rome and by Caesar. He was publicly flogged several times caned a few more and then beheaded. Not exactly what is done to people who got Caesars back so to speak. Paul was standing up for righteousness in a godless world. He was telling his followers to stand up for the church even if you do not understand it, because they have been chosen to lead (Sounds like Obama and his god complex a little). The founding fathers did a similar thing it was based I believe on Gods law, but it was standing up for the oppressed. What I find typically annoying about Obama is his childlike grasp of many issues, what he is doing here is taking the words of Paul at face value and totally missing the point....I believe this is intentional as well. he shows no depth of knowledge in his own supposed faith. It is sad but also fine to not believe, but what he is doing is mocking the inspired words of Paul. He is attaching money and doing your Christian duty and that I think would make Paul ill. I think keeping the two separate (Politics & religion)is perfect and the founding fathers had it right. They used Gods laws as inherent rights of man and that there were no Caesars in this country, similar to Paul but also very different. Obama as a person politics aside slinks lower and lower everyday. He needs to be called out on his ineptitude and lack of understanding, for the phoney that he is. I would gladly stand behind anyone who doesn't use their power as a hammer and treads lightly when it comes to others rights. Wish we had more of the "less" type of politicians out there, but I do not see many or any on the horizon. Just an opinion and although your point was slightly tenuous it shows a clear understanding of what liberty is....and what Obama is not.